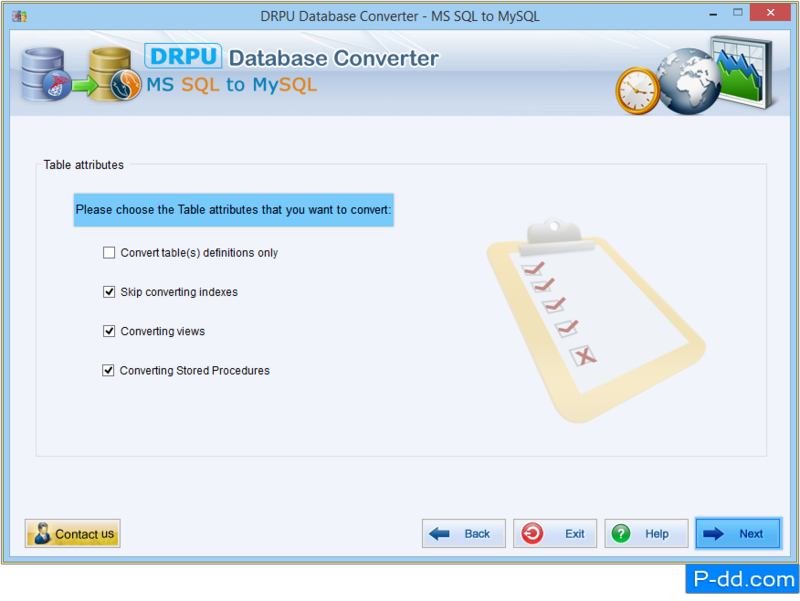 MS SQL to MySQL Database Conversion Tool provides solution to convert bulk database records created in Microsoft SQL database to MySQL database server in the easy way. Software facilitates you to establish connection between MS SQL server and MySQL database using either windows authentication or SQL server authentication as per your requirement and works with all versions of MS SQL server. 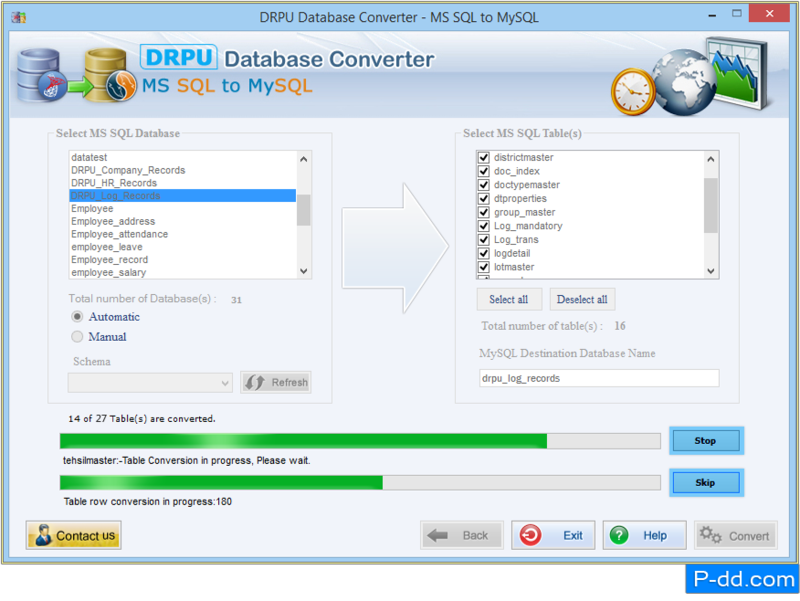 Converts database record of MSSQL to MySQL data base server in an effective manner. Convert individual database table or more than one table depending on user’s selection. 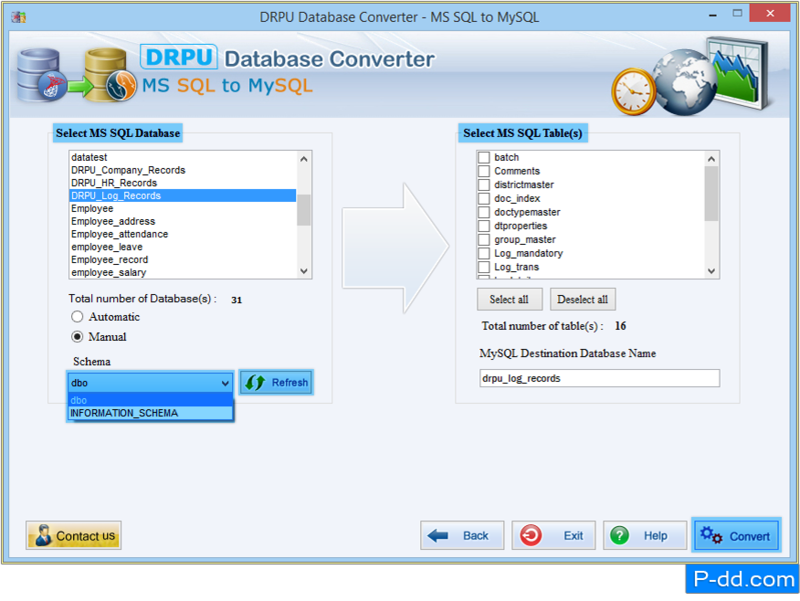 Software overwrites converted database with existing database present in MySQL or saves converted database in to new destination database. Easily and accurately converts records with all necessary attributes. 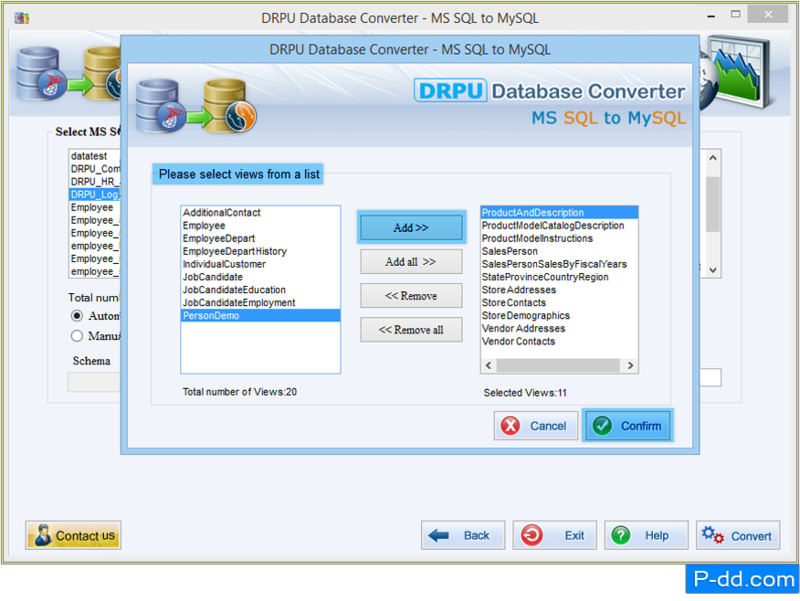 Provide safe database conversion and works with all major version of MSSQL. Supports null value, default value, primary key and unique key constraints. User friendly GUI supported software provides full install/uninstall support. 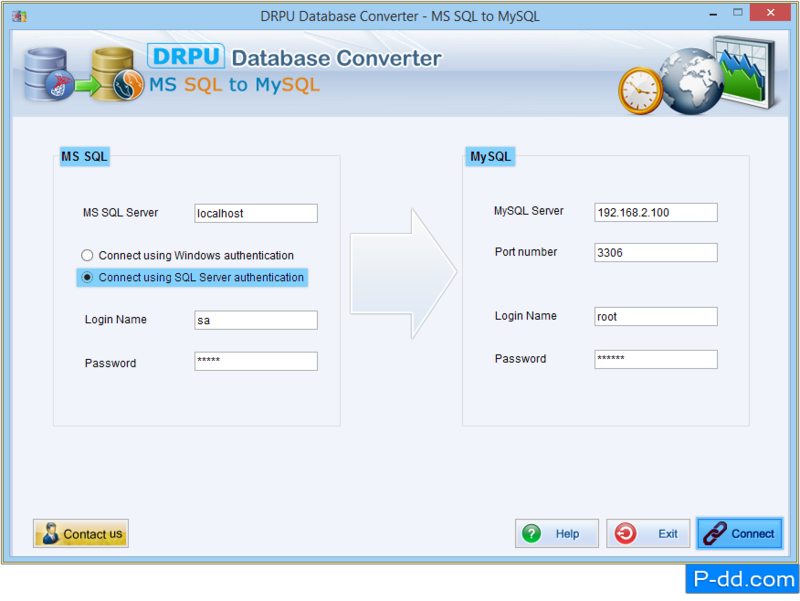 Connect MS SQL and MySQL with local server or remote server using either windows authentication or SQL server authentication. Select table attributes according to your need like convert table(s) definitions only, skip converting indexes, converting views and converting stored procedures. Now press “Next” button to go to next step. 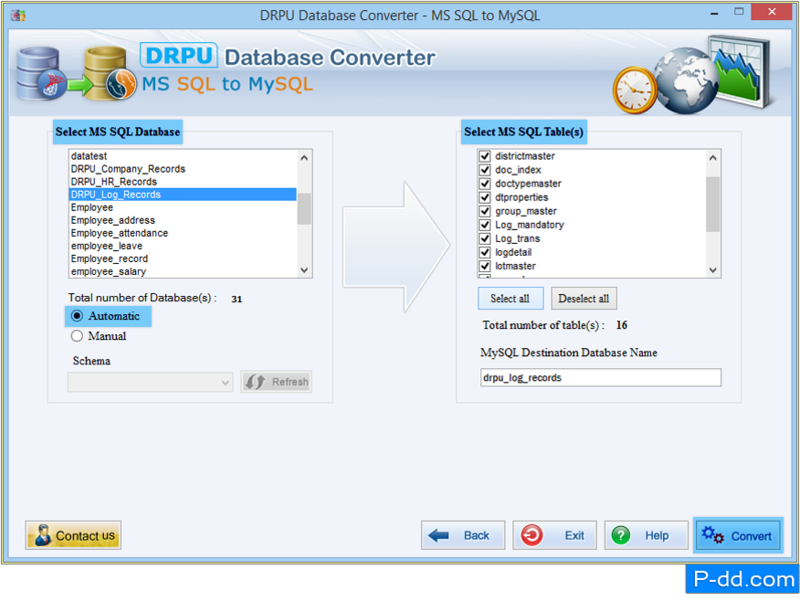 Select schema items manually, choose “Manual” option and select MS SQL database and table(s) then press “Convert” button to start database conversion process. Enable “Automatic” option to choose schema items automatically. Now select MS SQL database and select required MS SQL table(s) or you can select entire table(s) using “Select all” button then click the “Convert” button. Select views from list if you want to convert views and add using “Add” button. Now click the “Confirm” button to proceed. Progress bar shows current status of database conversion process. To abort running process, click the “Stop” button and if you need to skip any particular table press “Skip” button. 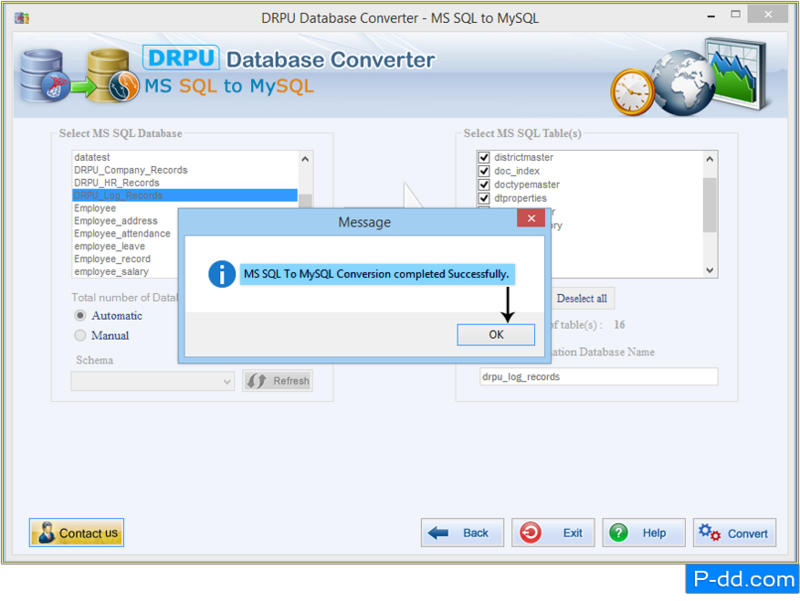 Confirmation message displays, after completing database conversion process.